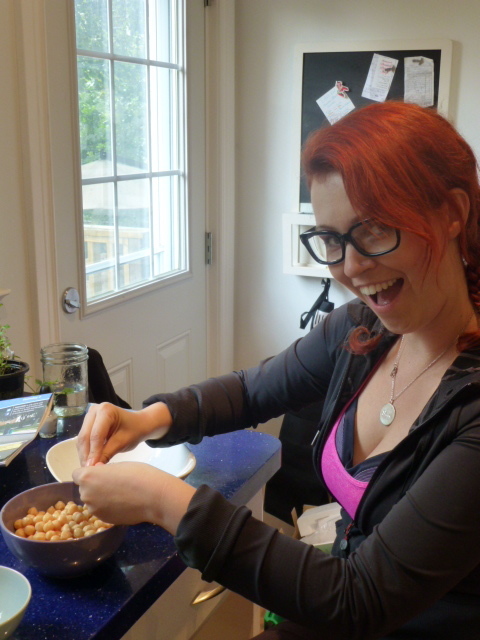 Ashley is my co-hummus-blogger this month and she’s back to talk about our most ridiculous hummus adventure so far: peeling chickpeas. Yes, really. I feel like I should have something PROFOUND to say in the post that inspired this whole month. But I don’t. Wait, you’ll see. 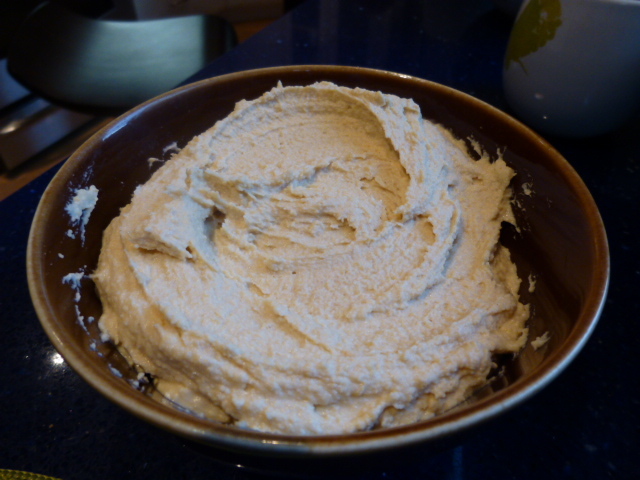 One day I found Smitten Kitchen’s recipe for incredibly smooth hummus. Because everything she makes is pretty well fantastic, my curiosity got the best of me and I decided that peeling chickpeas was a GREAT idea. So I pinned it. And tagged Lindsay. The pin was the catalyst for us deciding that peeling chickpeas would be better done with friends, so we talked of making a date of it. That snowballed (chickpea’d?) into an elaborate conversation about hummus and our Hummus Month for Vegan Mofo was born. It seemed like an easy enough task to add to our hummus date this past weekend. I volunteered to start peeling, while Linz worked on the Hummusalsa. I got into the groove of swirling the little chickpea amigos between my thumb and index finger, removing their outer shell / skin / extra layer. I even made a silly video about it. The whole can took me about 10-15 minutes, including video production, giggling with Lindsay and tasting other hümmi. 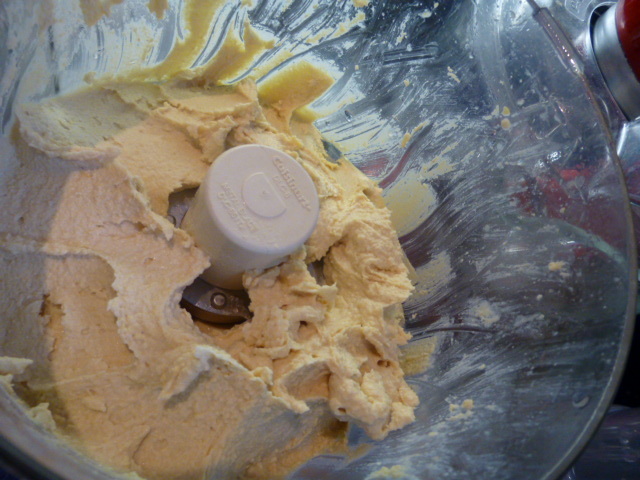 I decided to follow the recipe as written to achieve the desired hummus consistency. It called for a lot of tahini — half a cup — while we’ve been using a couple tablespoons, if any – and put all my faith in everything Smitten. 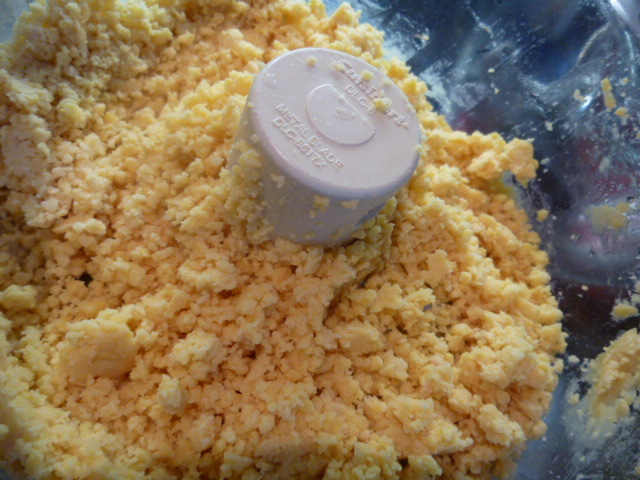 I followed the recipe exactly, got to know Lindsay’s food processor personally and eagerly anticipated the end result. I really wish I had something elaborate to say, but “it’s so smooth” is all Linz and I could come up with. “It’s like restaurant hummus” was said once or twice and perhaps the word silky was used. And then smooth 1,000 times. It’s smooth. And delicious. And a little more time consuming. But worth it if you’re looking for optimal hummus smoothness. Yup. Smooth. That’s all I got. Begin by peeling the chickpeas — roll each chickpea between your finger until it comes loose from the skin — and discard the skins. Add the remaining ingredients and blitz until smooth. Let chill in the fridge for 30 minutes before enjoying — and don’t forget to marvel about how smooth it is! This looks delicious (and. . . smooth)! Pin-diddly-‘ed! yes! 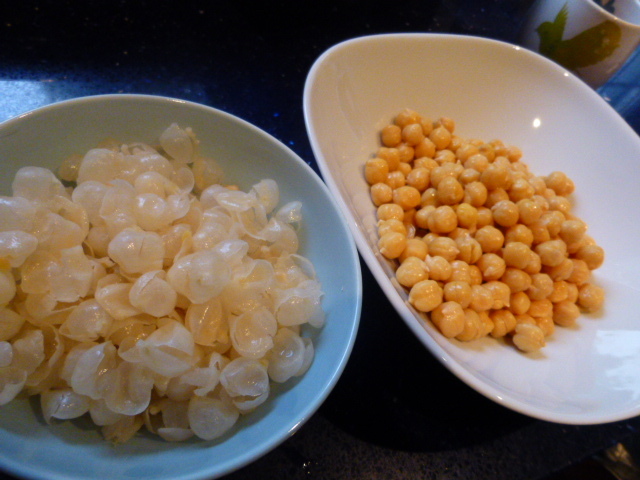 I’ve peeled my chickpeas for hummus before… it does make a difference ~ though I’m not sure the difference is worth the effort. 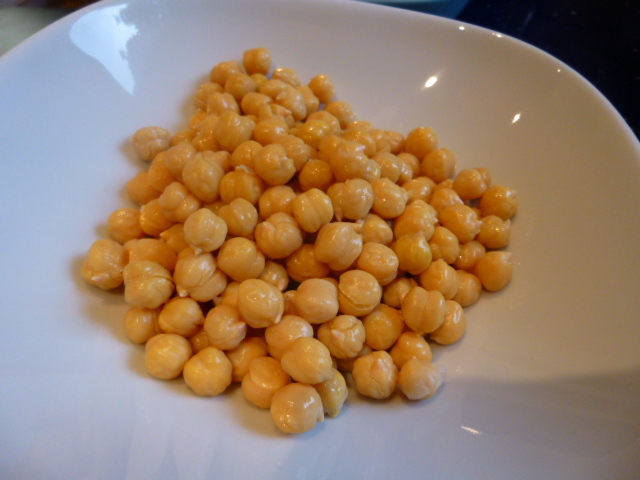 I’ve also found that using warm, home-cooked chickpeas (instead of canned) makes for smoother hummus. But, again, that’s a lot of work! either way, I love your hummus theme! I go a slightly different route that takes longer, but gives me time to do other things when it’s going on. I cook my chickpeas about an hour after optimal doneness for other applications (or I throw the canned chickpeas on the stove for about an hour). 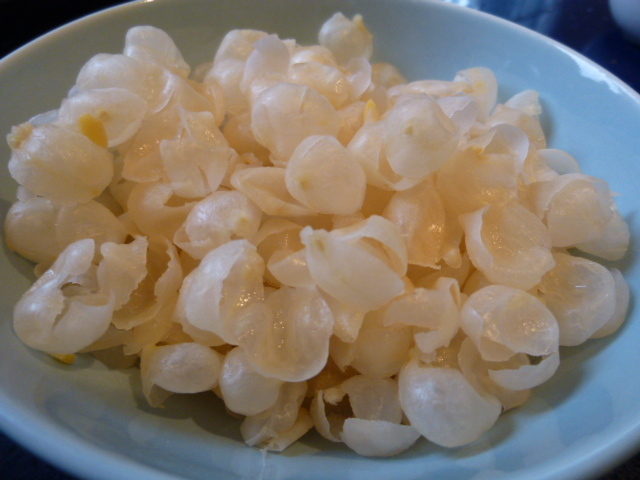 The chickpeas get a little mushy and a lot of the peels come off. The skinless chickpeas do make a difference! Bonus of doing it this way is that when you’re testing, it’s not just smooth, it’s warm 🙂 But, yes…smooth…creamy…pretty much the only way to describe it. You can’t get better than that. Neat idea – have to try it, thanks!